Nominations for induction into the Rock and Roll Hall of Fame in 2016 have been announced. Once again, Harry Nilsson is not on the list. This is a great disappointment to Nilssons fans including many who have participated in the Harry in the Hall campaign the past year. Sometimes the journey is as important as the destination. The moment has passed, but the movement lives on. We have just been given another year to share what Harry’s music has meant to us with other fans, musicians, and the public in general. Some kid is going to see one of the videos and start learning how to play a Nilsson tune on his guitar. A filmmaker is going to read one of the articles online and recall a song of Harry’s that is perfect for the soundtrack of her movie. Some people are going to be reminded of why they love Harry’s music while others are going to fall in love with Harry’s music for the first time. These little seeds we’ve planted have the potential to become large trees – not only to “keep the memory green” but to encourage it to grow. 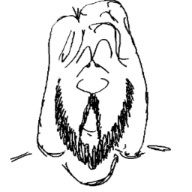 This entry was posted in Events and tagged Hall of Fame, harry nilsson by Roger. Bookmark the permalink.